For Benin and its vicinity, we're showing you all the registered pools, a few of them have no GPS coordinates and cannot be discovered on the map at the map. We quite possibly don't know all of the Pools in Benin. Are you missing any? Contact us!. There are usually discounts available to senior citizens and little children for independent swim. 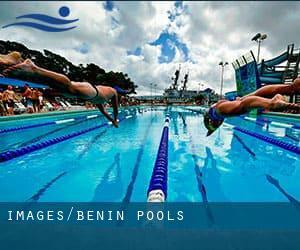 Find out by contacting your nearest pool among these Benin Pools. 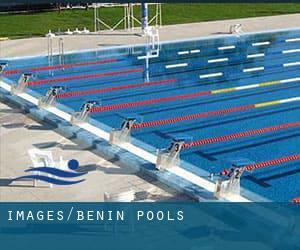 The best selection in the course of your visit to Benin might be droping by a Benin Swimming Pool. Most of the Benin Pools deliver both open lanes for independent swimming and also guided activities like water aerobics or Aquabike. Are you a standard swimmer? Have you ever practiced Aquagym in Benin? Let us know!. One from the benefits of outdoor swimming in Benin may be the possibility to sunbathe during the summer season. Taking it with added care, sunbathing is healthy due to the fact introduces Vitamin D into the body, so the very best choice seems to be switching amongst indoor and outdoor pools depending on the season. Without a shadow of a doubt, swimming in Djougou will be the ideal method to unwind following function. Take a couple of minutes to browse Swimia's catalog to find a Pool in Djougou. Swimming can be a superb concept to keep your body active for the duration of your visit to Abomey-Calavi (Benin), or even in case you are a local. Swimia assists you to find your closest Pool in Abomey-Calavi. It's difficult to visit Benin without having dropping by Cotonou (with 690.584 residents). Currently Swimia is showing you all the Pool in Cotonou as well as the closest pools situated in its vicinity. Whereas Parakou is one of the six most populous cities in Benin with nearly 163.753 residents, you shouldn't miss that one if you're going to Benin. Holding an estimated population of 234.168, Porto-Novo is one of the most important cities in Benin. Check all the Swimming Pool in Porto-Novo and its surrounding region. Let us tell you a secret to switch off while you are in Bohicon: just choose a Swimming Pool in Bohicon and plunge into the water! There's no alot more powerful technique. Updated on 2019 Boulevard de France , Zone Portuaire , Cotonou . This sports center provides 25 meters, Outdoors. Contact information and facts for this Swimming Pool such as phone number and e-mail address are number.